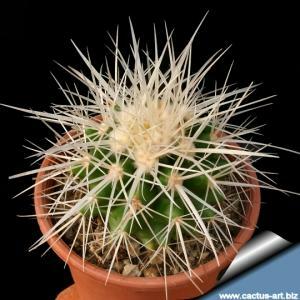 L'Echinocactus grusonii albispinus è simile al comune "Cuscino della suocera" ma differisce per le spine che sono lunghe e bianco vitree, non giallo dorate. Pianta molto bella. Culture: The cultivation of it would be similar to the golden variety. Frost tender but resistant to very dry conditions, Cold hardiness increases with improved drainage, so keep plants as dry as possible in winter. 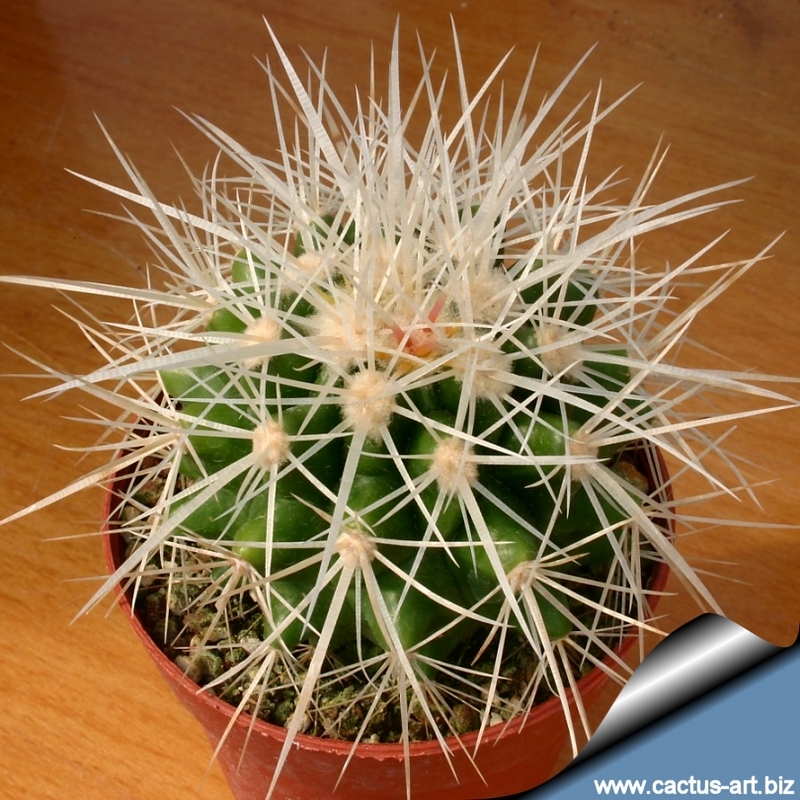 They grow best in well-drained soil and a position in full sun, which will help to maintain the lustre of the spines and longevity of the flowers. 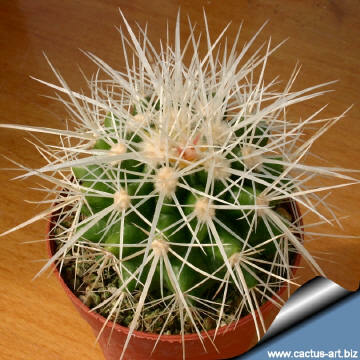 Provide the plant with extremely well-drained soils, as the plant are subject to crown and soft rot if it remains too moist. Besides, it performs wonderfully in containers, Container media should be coarse as well. 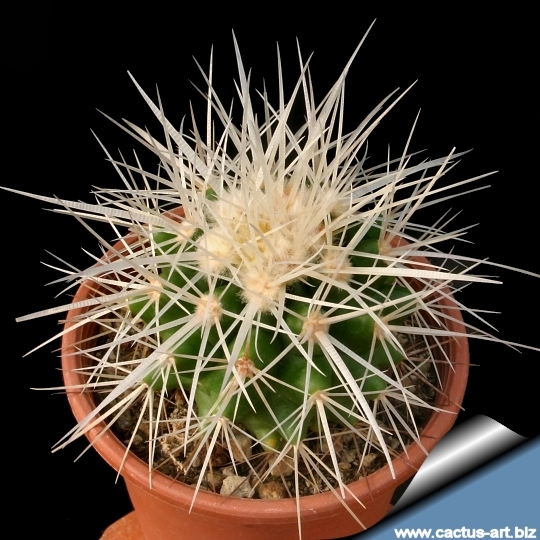 Young plants are prone to mealy bug and red spider mite. 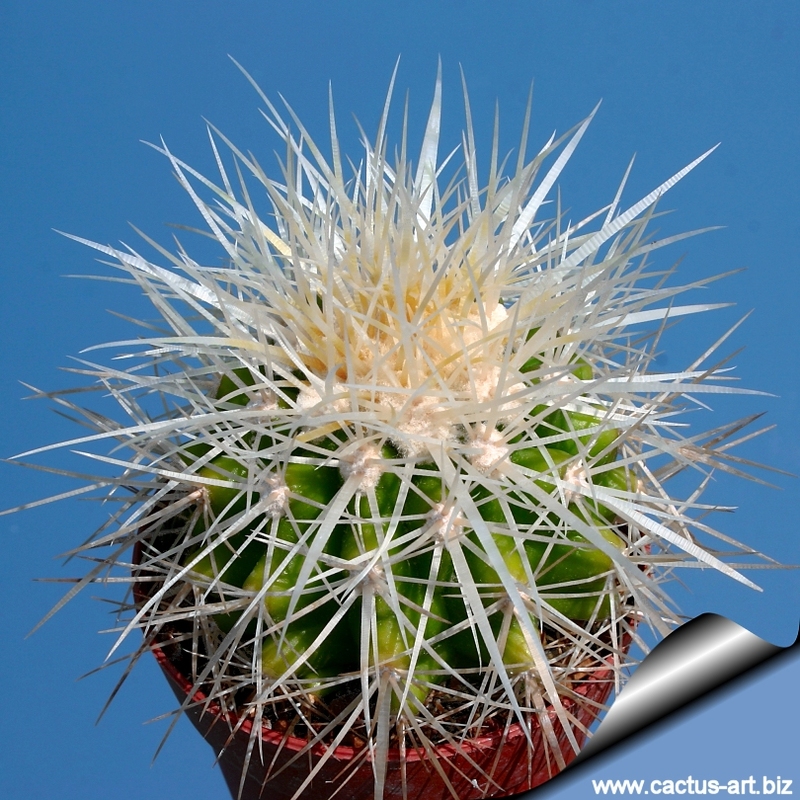 Propagation: Propagate from cuttings or (usually) seed.